Monday, Oct 12, 2009 An evening public lecture on popular music in Portsmouth in the sixties proved so popular that the afternoon technical run through, had to become a "matinee" lecture. Over 100 people attended. Over 500 people gathered in the evening at the New Theatre Royal to listen to Dr Dave Allen, principal lecturer in the School of Creative Arts, Film and Media and National Teaching Fellow talk about his passion and his work. Dave, a Pompey musician himself in the sixties, considered a broad sweep of popular music including rock and pop, the dance bands, the brief booms in jazz and folk music, the dominant mod- scene in the mid-1960s and the increasingly experimental late 1960s. 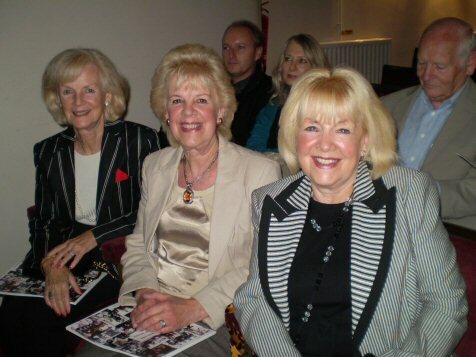 At the New Theatre Royal, there were many old, older faces and good friends, amongst them were The Honeys, seen here.